molly moon's homemade blog: june 1 is world milk day! june 1 is world milk day! 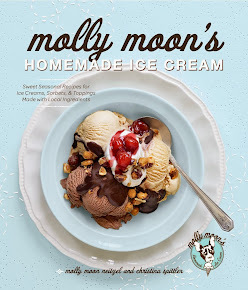 back when molly moon's was brand new, my little sister Anna was enormously helpful to me - from scooping ice cream to keeping me sane when things got crazy. the shop opened in 2008 in the lovely neighborhood of Wallingford. Anna and i quickly learned that FamilyWorks, just across the street from the shop, was an amazing place. both a food bank and resource center for people needing help, the work they do strengthens and nourishes our community. Anna was an incredibly generous person, unstoppable in her compassion and she LOVED milk. in 2009, she passed away after a tragic motorcycle accident. as you can imagine, my heart was broken. i wanted to find a fitting way to honor my little sister, so i created the Anna Banana Milk Fund to support families in need with fresh milk every week. food banks can rarely afford dairy products, and milk was almost never available at FamilyWorks before i started the fund. for the past few years, we've provided local, organic milk through Smith Brothers Farms (the same milk we use in the shops) to hundreds of families and individuals. this Sunday, June 1 is World Milk Day, and you can help us do more for families! please visit one of our shops on Sunday where we'll be celebrating, and when your friendly scooper asks you if you’d like to “add a dollar for the Milk Fund,” please say yes! if past Junes are any indication, we will have thousands of customers across all six of our shops, and we’d love this day to mean a whole lot more calcium and Vitamin D for the customers of the food bank! and if you want to do even more, please consider joining us in this important mission by becoming a monthly donor. most of us on the moon crew deduct $10 a month from our paychecks to support the fund. your donation of $10 per month will provide ALL the milk a family will need each week. no matter how you choose to help families in our community, i hope you'll join me in remembering Anna and supporting the Anna Banana Milk Fund!